I found an extremely busy area of the sky inside Coma Berenices that is littered with galaxies and other Messier catalogue objects. I aimed my Canon T5i at a relatively bright star 6 Com and let it click away for 10 minutes (I actually set a timer for 10 minutes and let it go). The result was a HUGE image mosaic of stars smearing across my computer screen. 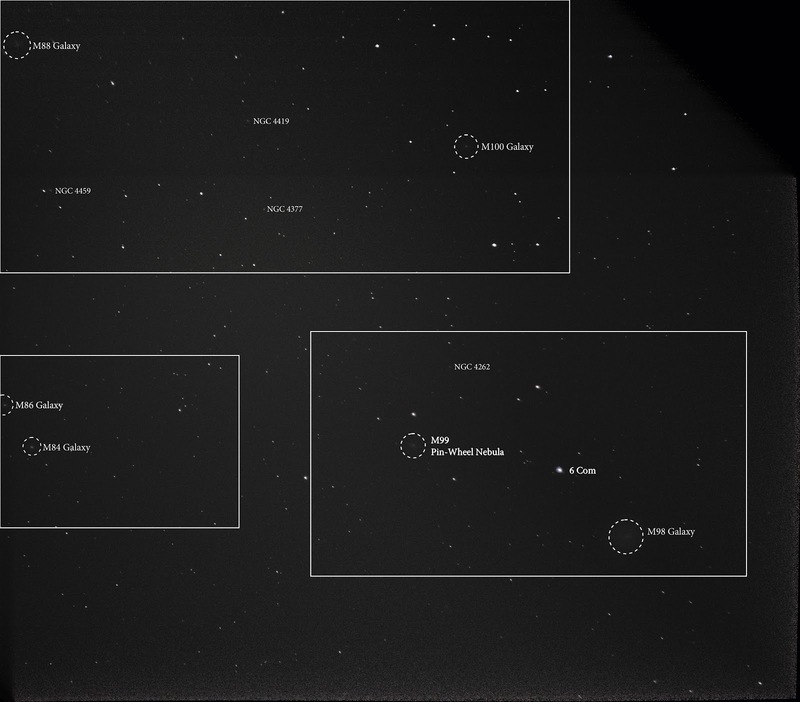 I cropped the file down to the least smeared patch and ran it through Astrometry.net, which helped me identify 6 Messier objects all in the same image. The large image is below, sliced into smaller pieces as identified by the white boxes. 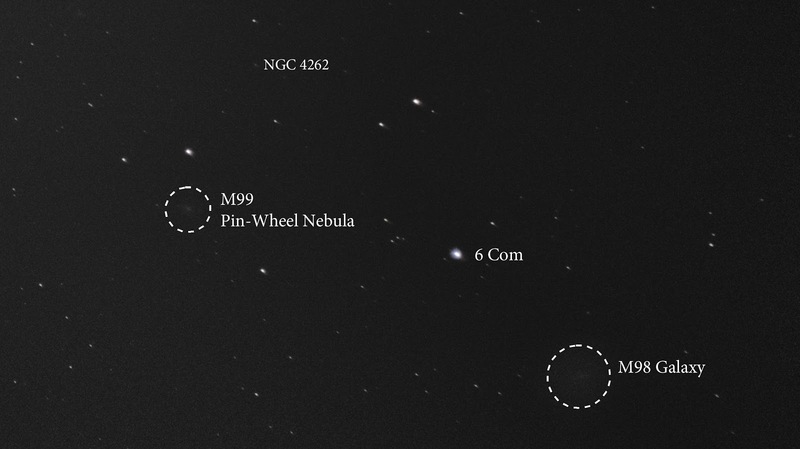 M99 the Pin-Wheel Nebula, and M98 (just barely). 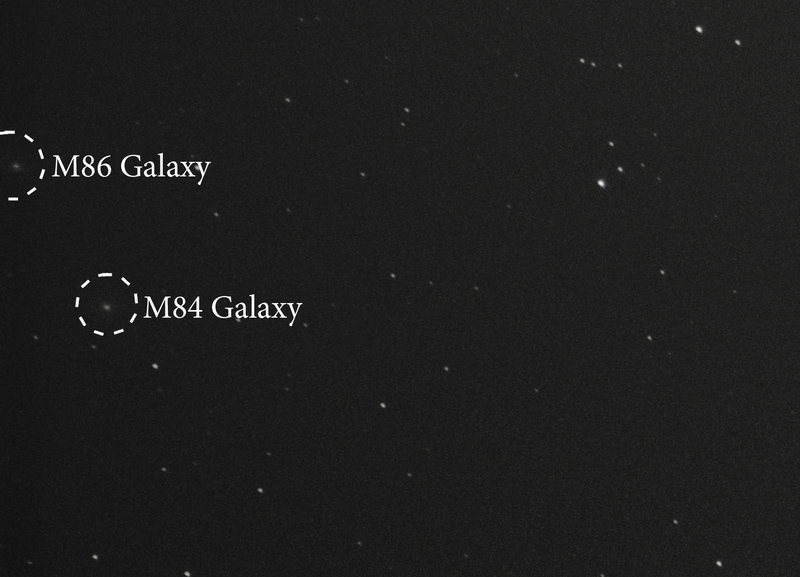 Ok, so I'm maxing out on gray blobs here, but I'm at 300mm so I can't get any closer with my DSLR right now. I guess these will have to count until I get my EQ mount up and running. Still counts! This haul brings my Messier total to 62 out of 110!